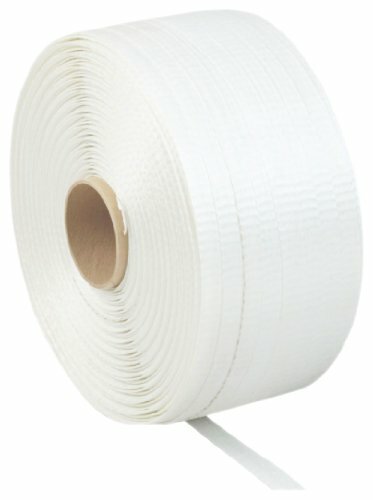 This PAC Strapping P-40TCW white medium duty cord strapping comes in a coil 1/2" wide and 1,500' in length for palletizing and bundling items. The core is 3" in diameter and 5" wide. The strapping is made of woven polyester for resistance to moisture, vapor, oils, greases, and volatile aromatics. It can be applied using hand tools, using buckles or seals, or tied by hand. This cord strapping is Association of American Railroads (AAR) approved and has a nominal break strength of 700 lb.